Kuwait, being one of the richest countries, is among the highest per capita waste generators in the world. 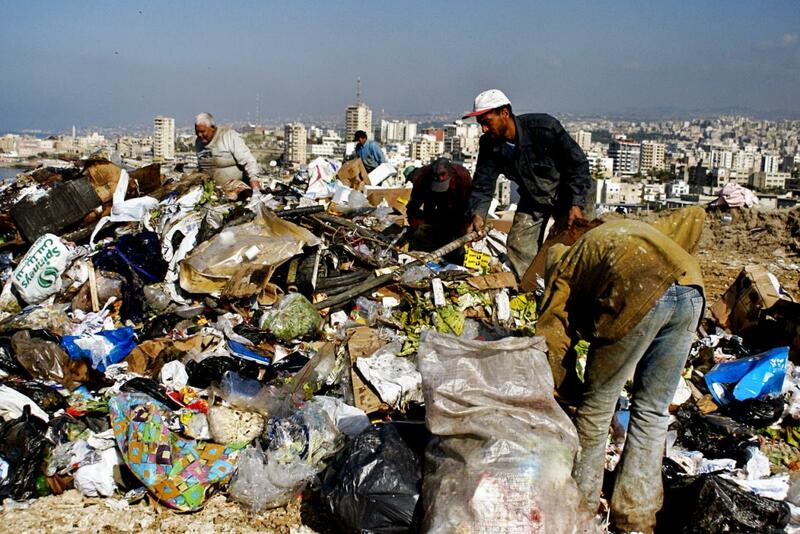 Each year more than 2 million tons of solid waste is generated in the tiny Arab nation. High standards of living and rapid economic growth has been a major factor behind very high per capita waste generation of 1.4 to 1.5 kg per day. 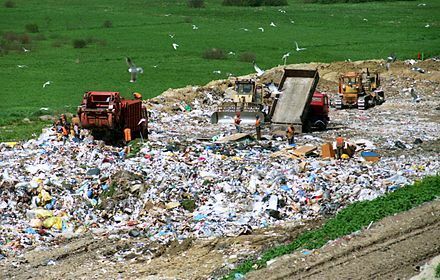 The prevalent solid waste management method in Kuwait is landfill burial. 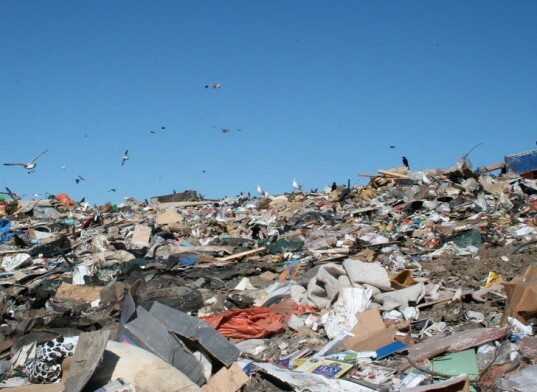 Despite being a small country, Kuwait has astonishingly high number of landfills. There are 18 landfills, of which 14 sites are closed and 4 sites are still in operation. 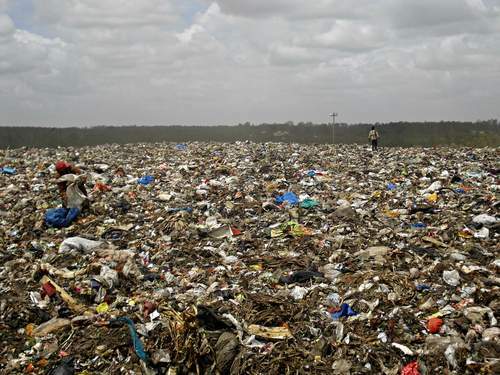 These landfills act as dumpsites, rather than engineered landfills. 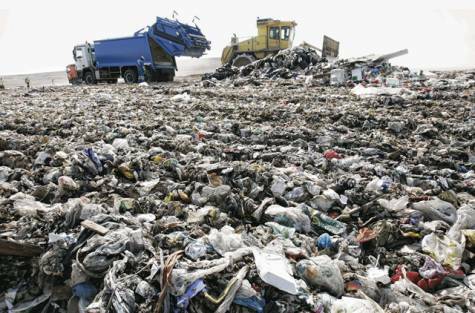 Infact, landfill sites in Kuwait are notorious for causing severe public health and environmental issues. Besides piling up huge amounts of garbage, landfill sites generate huge amount of toxic gases (methane, carbon dioxide etc) and plagued by spontaneous fires. Due to fast paced urban development, residential areas have expanded to the edges of landfill sites thus causing grave danger to public health. The total land area of Kuwait is around 17,820 sq. km, out of which more than 18 sq. km is occupied by landfills. Area of the landfill sites ranges from tens to hundreds of hectares with waste deposition depth varying from 3 to 30 meters. 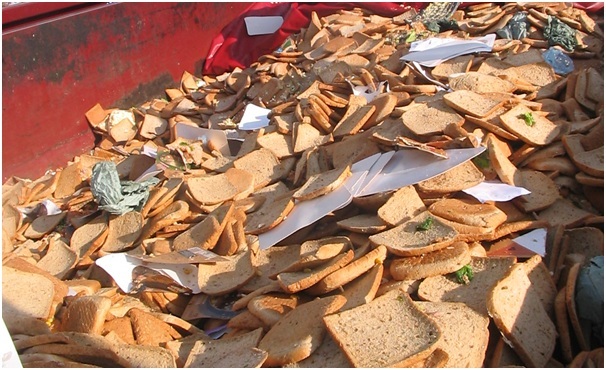 All kind of wastes, including municipal wastes, food wastes, industrial wastes, construction and demolition debris etc are dumped at these sites. 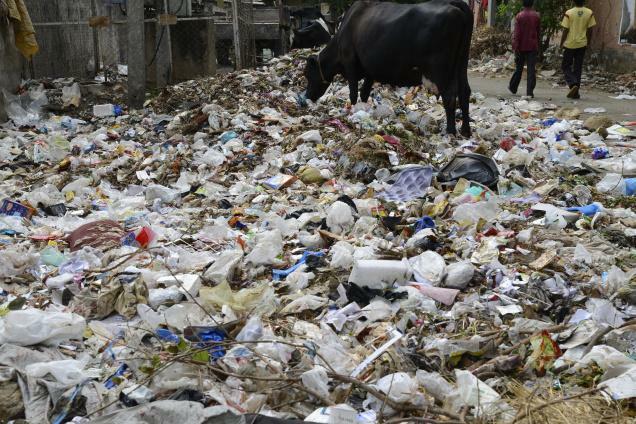 Infact, about 90 percent of the domestic waste is sent to landfills which imply that more landfills will be required to tackle rapidly increasing volumes of solid wastes. Most of the landfill sites have been closed for more than 20 years due to operational problems and proximity to new residential, commercial and industrial areas. These sites include Sulaibiyah, Kabed, Al Qurain, Shuaiba, Jleeb AI Shuyoukh, West Yarmouk, AI Wafra among others. 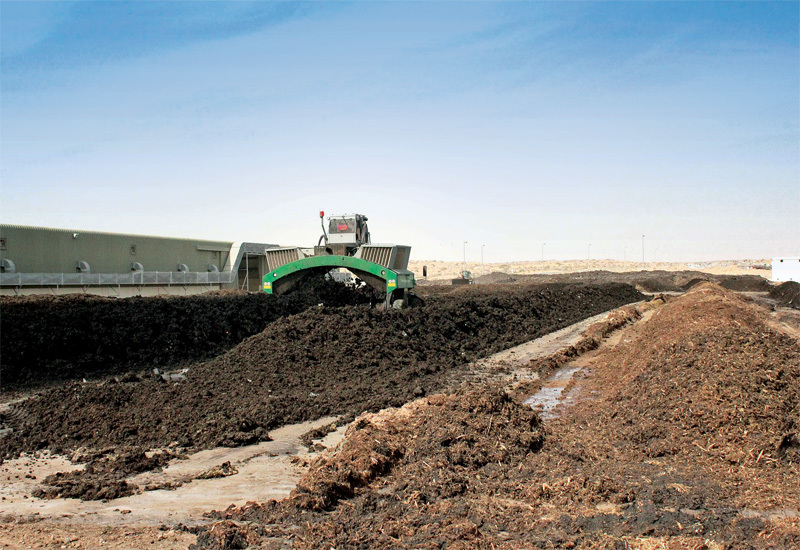 Migration of leachate beyond landfill site boundaries is a frequent problem noticed across Kuwait. Groundwater contamination has emerged as a serious problem because groundwater occurs at shallow depths throughout the country. The major landfill sites operated by municipality for solid waste disposal are Jleeb AI Shuyoukh, Sulaibiyah and Al-Qurain. The Qurain landfill, with area of 1 sq. km, was used for dumping of municipal solid waste and construction materials from 1975 until 1985 with total volume of dumped waste being 5 million m3. The Sulaibiyah landfill site received more than 500 tons of waste per day from 1980 to 2000 with area spanning 3 sq. km. Jleeb AI Shuyoukh, largest landfill site in Kuwait with area exceeding 6 sq. km, received 2500 tons per day of household and industrial waste between 1970 and 1993. Around 20 million m3 of wastes was dumped in this facility during its operational period. Over the years, most of the dumpsites in Kuwait have been surrounded by residential and commercial areas due to urban development over the years. Uncontrolled dumpsites were managed by poorly-trained staff resulting in transformation of dumpsites in breeding grounds for pathogens, toxic gases and spontaneous fires. 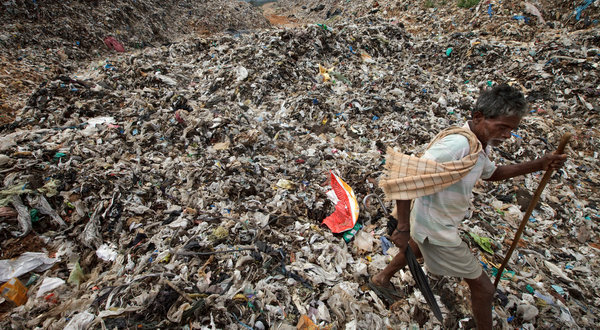 Most of the landfill sites have been forced to close, much before achieving their capacities, because of improper disposal methods and concerns related to public health and environment. Due to fast-paced industrial development and urban expansion, some of the landfills are located on the edges of residential, as is the case of Jleeb Al-Shuyoukh and Al-Qurain sites, endangering the lives of hundreds of thousands of people. Solid waste management is one of the major environmental problems threatening the Kingdom of Morocco. More than 5 million tons of solid waste is generated across the country with annual waste generation growth rate touching 3 percent. The proper disposal of municipal solid waste in Morocco is exemplified by major deficiencies such as lack of proper infrastructure and suitable funding in areas outside of major cities. It is not uncommon to see trash burning as a means of solid waste disposal in Morocco. 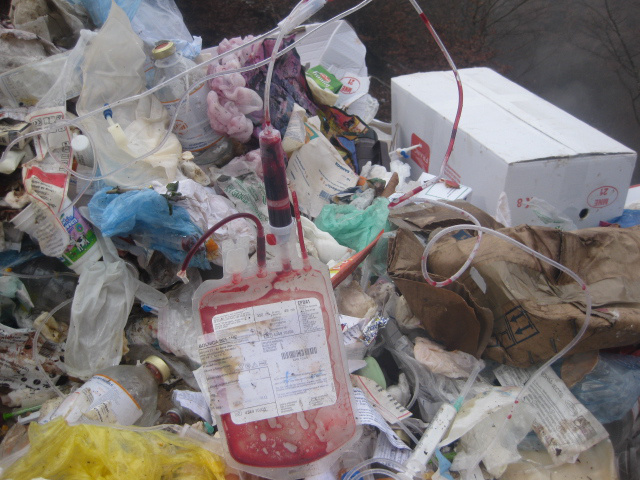 Currently, the municipal waste stream is disposed of in a reckless and unsustainable manner which has major effects on public health and the environment. The lack of waste management infrastructure leads to burning of trash as a form of inexpensive waste disposal. Unfortunately, the major health effects of burning trash are either widely unknown or grossly under-estimated to the vast majority of the population in Morocco. The good news about the future of Morocco’s MSW management is that the World Bank has allocated $271.3 million to the Moroccan government to develop a municipal waste management plan. The plan’s details include restoring around 80 landfill sites, improving trash pickup services, and increasing recycling by 20%, all by the year 2020. While this reform is expected to do wonders for the urban population one can only hope the benefits of this reform trickle down to the 43% of the Moroccan population living in rural areas, like those who are living in my village. Needless to say, even with Morocco’s movement toward a safer and more environmentally friendly MSW management system there is still an enormous population of people including children and the elderly who this reform will overlook. Until more is done, including funding initiatives and an increase in education, these people will continue to be exposed to hazardous living conditions because of unsuitable funding, infrastructure and education.